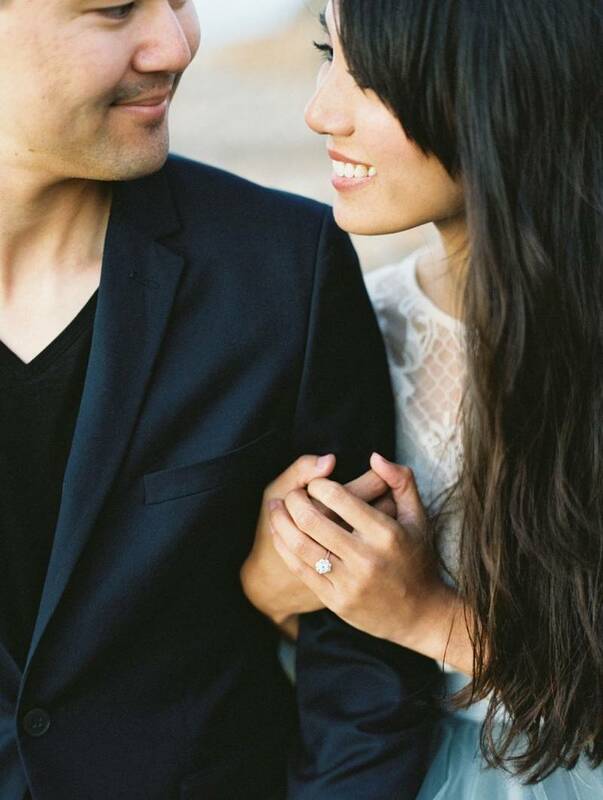 Ok could this engagement shoot be any more adorable? I think not! 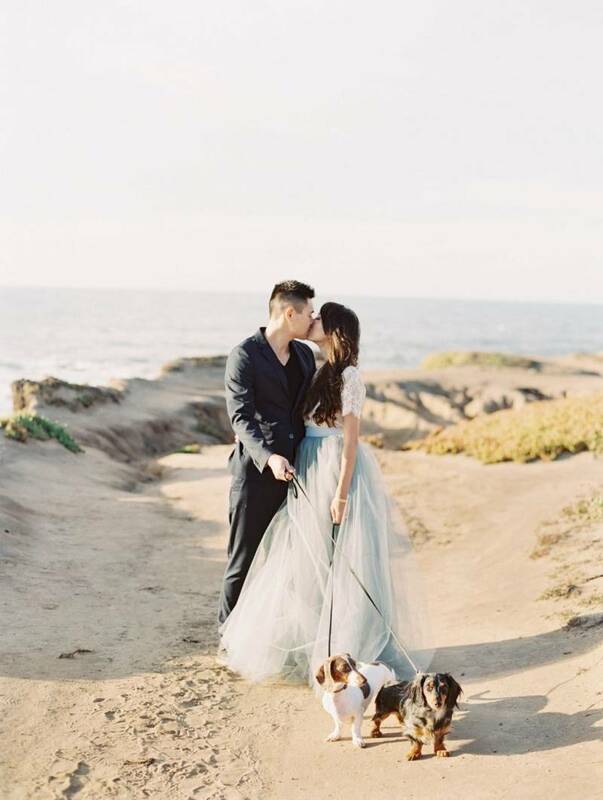 JESSICA KAY PHOTOGRAPHY took the couple to Half Moon Bay and with it's beautiful cliffs and rocks laiden with textured moss and grasses it really couldn't be more picturesque. Of course they also had to include their adorable puppies, Naimo and Machu who did a pretty good job of trying to steal the show! 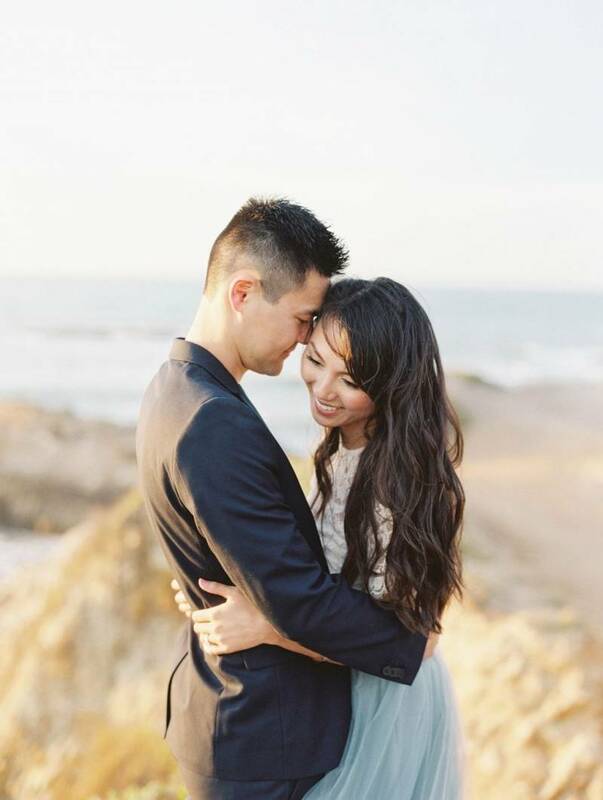 Beautiful bride to be shares with us, "We wanted our engagement photos to ooze romance and elegance, something pretty to show our children and grandchildren decades later. 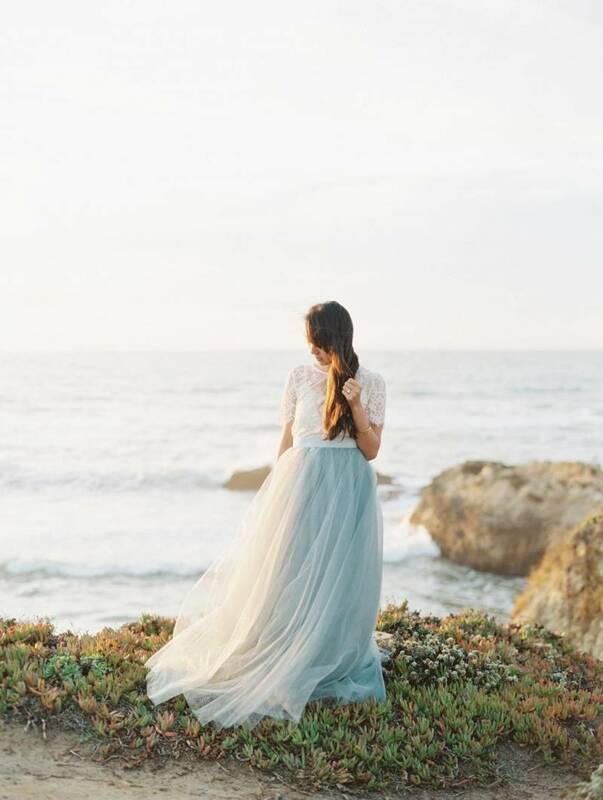 I came across ALEXANDRA GRECCO'S tulle skirt and just fell in love. Its ethereal essence was so lovely, and when paired with a bit of wind, golden light, and scenery, the skirt was really the star (Kallen and I were just accessories ;). We were also able to bring our puppies - we are heads of heels in love with them and so it was very important to us to have them be a part of the shoot. They really brought some sweet cuteness to our photos." Ahhh this kills me... the pup wanting to be in on the kiss! That's exactly what mine would do!